We would love to have a bluetooth in your car, you can do a lot of activities such a hands-free calling, easy wireless access to the media on smartphone, catching up on news, podcats, or checking out a cool new playlist. This devices can maximize you functions of smartphone as long as you are in your car. What devices are that? They are coming from Pioneer AVH X2800BS and also coming with Pioneer AVH 280BT. We will compare both of them on this following article. The specifications inside Pioneer AVH 280BT are wide of variety. A Dvd/CD receiver with internal amp, 6.2 inch touchscreen display and 5-band graphic equalizer with 7 preset EQ curves. 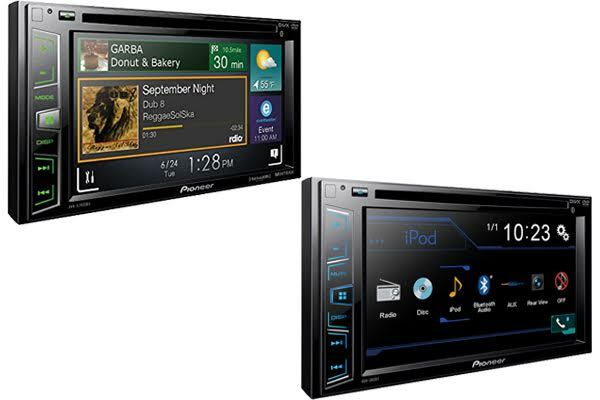 Pioneer AVH-290BT is ready to roll with Direct connectivity to your iPod or iPhone for music and video via an optional USB interface cable and playback and control of music files on compatible Android devices. The audio and video features is high and low pass filters with advanced sound retriever and digital time alignment. To complete the general features, it is equipped with three selectable illumination colors and blue key color, fits double-DIN dash Openings, and optional remote control. While the expandability consist of rear A/V input, rear USB input, and rear-view camera for the input. A video output, 4-channel preamp for the outputs. Based on the specifications on offer and other completeness, winner of the review this time we think will fall to Pioneer AVH X2800BS. In addition to a more complete specification, AVH X2800BS also has more advanced features although you guys know the price offered is higher. For it, for you guys that have a budget under $200 do not have to force yourself to buy it. Enough with the Pioneer AVH 280BT will fine-tune your 4 wheel vehicles.